Ace Training and Development Centre keeps running the CCNA curriculum course in 2019 starting February, since it is the best way for you to prepare for a successful career in networking. As Enterprises migrate toward controller based architectures, the role and skills required of a core network engineer are evolving and are more vital than ever. To prepare for this network transition, the CCNA Routing and Switching certification will not only prepare you with the knowledge of foundational technologies, but ensure you stay relevant with skill sets needed for the adoption of next generation technologies. 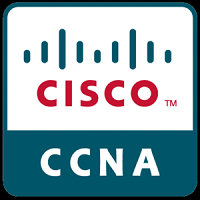 CCNA Routing and Switching is a certification program for entry level network engineers that help maximize your investment in foundational networking knowledge and increase the value of your employer’s network. CCNA Routing and Switching is for Network Specialists, Network Administrators and Network Support Engineers or people who pursue career in these positions. The course validates the ability to install, configure, operate and troubleshoot medium sized networks consisting of routers and switches. The curriculum includes CISCO switches, routers, basic mitigation of security threats, introduction to wireless networking concepts and terminology, and performance based skills. The curriculum also covers the use of the following protocols: IP, Serial Line Interface Protocol, Frame Relay, VLANs, OSPF, Ethernet and Access Control Lists (ACLs). The course has a 100-hour duration. This course will enable students to understand QoS, virtualization and cloud services, and network programmability related to WAN, access and core segments. It will provide the foundational understanding of network layers 1-3 that are applicable to core routing and switching plus other advanced technologies. Several topics have been added including; understanding the interactions and network functions of firewalls, wireless controllers and access points, along with additional focus on IPv6 and basic network security.